A bad outcome of this belief is that many are now hiring copywriters to write articles, blog posts, item descriptions, press releases, and ebooks, for them, in an effort to prevail their marketplace with related, and search engine attractive content. The problem is that this content is SEO friendly but not READER friendly! I can see that a lot nowadays. A lot of sites owners are focusing on quantity and not quality and that is hurting the SEO strategy to bring people to the site, KEEP them there and coming for more. It's easy to find cheap copywriters that will just mix and match few articles for you but... will your readers be impressed? Will they come back? Will they buy from you instead of your competitor? The idea of paying a copywriter is for having a good content that people not only can read it but enjoy it and learn something from it. After reading that article (or product description) they should be wanting to see what else do you have there that they can share, learn or even buy from you. Will this happen if that content is useless? Aaaaahhh.... NO! As simple as that, because you only get that with quality content writing not with quantity. You can only excite, intrigue, and teach with quality content. The naked truth is that you won't get this quality writing from India or Philippines (cheap writing services). To get great quality content that is written with both, the search engines AND human beings in mind, it's a better idea to hire professional copywriters that will have more chances to sell your products and services AND increase the readers linking to it at the same time it improves your search engines ranking. The difference between SEO and SEO copywriting is that SEO focus in writing for the search engines robots (or bots) while the copy writing concentrates on human beings reading the content but with the search engines in mind. We offer several types of copy writing for your business. From item descriptions to regular blog postings. Please ask me on can we help you with your content copywriting and bring more good traffic to your site. 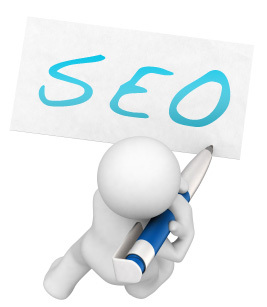 You can also read some of our SEO articles.